When your parent or loved one enters the care of a nursing home, it is after much research and with the trust that he or she will be treated with attention and respect. This includes careful monitoring of medical conditions and attentive upkeep of hygiene and nutrition. Sometimes, however, nursing home staff will fail to provide this basic care, failing to give reliant residents sufficient water, food, correct medicine, bathroom assistance and daily hygiene. This negligence can extend to a failure to properly socialize residents. As some of these residents decline, they lose the ability to notify family, friends or other staff that their needs are not being met. Some negligence is much harsher, causing severe injuries or even death. 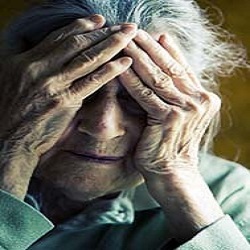 Estimates indicate that over 800,000 older and developmentally disabled individuals are subjected to physical and mental abuse, neglect or exploitation by caregivers. This neglect can include bed sores, failure to treat, failure to diagnose, medication errors, abuse, unsafe facilities or other instances where greater care should have been exercised. We understand the strain of having a loved one in a nursing home and the additional stress of worrying about whether that person is getting the right kind of care. We advocate on behalf of your family and loved one to correct the neglect. We take all nursing home negligence cases on a contingency fee basis, never accepting a fee unless you are awarded compensation. To arrange a free initial consultation to discuss your loved one’s situation with an Omaha nursing home abuse lawyer, please contact our law firm today at 712-322-2600.